Dundalk Chamber has been successful in securing funding for the creation of a new Skillnet network in Dundalk and across the North East. 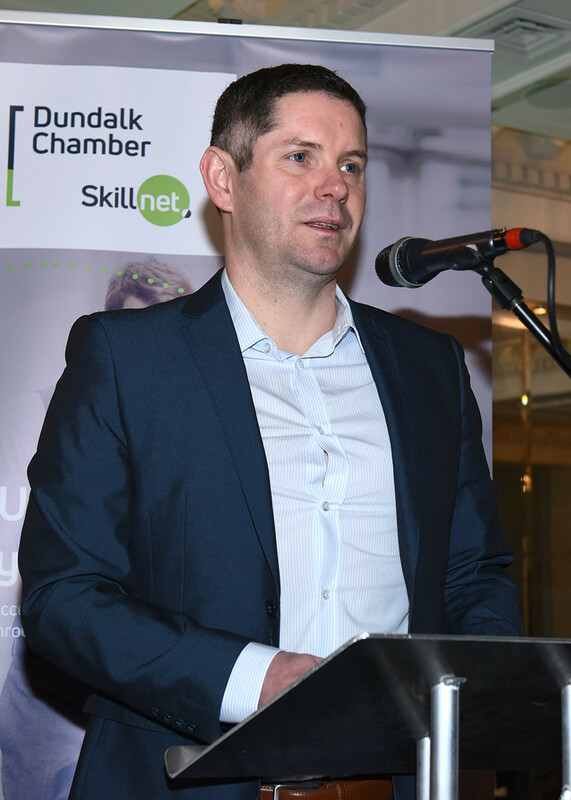 The new Skillnet Network Manager is Aidan Callan and he is based in Dundalk Chamber of Commerce. The Skillnet model is flexible and reactive to skills gaps in the network region. We can support your business by understanding your training needs, facilitating tailored training in a local setting at exceptional value for money. Dundalk Chamber Skillnet has a training fund and we are keen to assist you with your training needs. The cost of the training is part matched / subsidised and can be facilitated in-house (numbers dependent) or externally. Dundalk Chamber Skillnet has access to a nationwide panel of experienced and certified trainers across all industry sectors. If your company has training planned, is thinking about training or if you just want to find out more, please get in touch with the Skillnet Network Manager. Just let us know what training you need for you or your staff and we will see if can assist you with your training requirements. The Skillnet website is currently under development however please follow us on Facebook, Twitter & LinkedIn for updates on events and courses or contact Aidan above.